IQS Directory provides a comprehensive list of nickel metal companies and suppliers. Use our website to review and source top nickel metal suppliers with roll over ads and detailed product descriptions. Find nickel metal companies that can design, engineer, and supply nickel metals to your companies specifications. 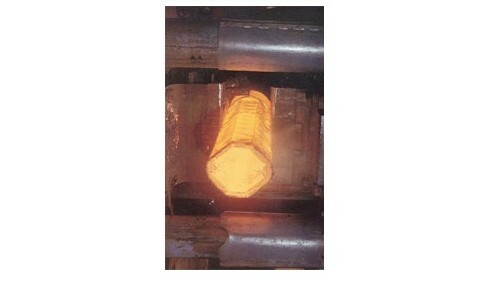 Then contact the nickel metal companies through our quick and easy request for quote form. Website links, company profile, locations, phone, product videos and product information is provided for each company. Access customer reviews and keep up to date with product new articles. Whether you are looking for suppliers of nickel sheet metal, brushed nickel tubular metal, polished nickel metal inlay or customized nickel metals of every type, this is the resource for you. No order is too small for this full line metals distributor. At Metal Associates, we pride ourselves on being problem solvers, offering run of the mill products, hard to find alloys and specialty metals. We provide non-ferrous and ferrous metals in all shapes, tempers, forms and alloys, plus precision and standard waveguide tubes in a wide range of sizes and materials, including nickel metal. All of our outstanding nickel metal comes with a number of benefits. We can custom forge products that will fit your exact requirements. It is our mission to work closely with our customers to ensure they are receiving exactly what they were looking for and we put you as our priority. You can trust our high quality items. We are excited for your business! Please visit our website for more information! Nickel metal is an element that is malleable, somewhat ferromagnetic, hard, and ductile, and a conductor of electricity and heat. 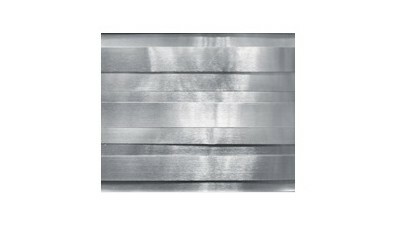 The metal is silvery white and can come in a polished or brushed nickel surface. Nickel metal can also be produced in various forms, such as flakes, sheet, spheres, rods, powder, foil, wire, or mesh. It is retrieved from its original ore form by using extractive metallurgy. Nickel metal refers to the chemical element abbreviated as Ni and 28th on the periodic table either in its pure state or in a number of alloys for which it is the predominant material. Common in industrial, commercial and even residential applications, this material is lauded for its many beneficial properties such as high heat resistance as well as high corrosion resistance against a broad spectrum of caustic media such as chemicals, alkalis, petroleum and seawater. The silvery-white metal also offers excellent malleability and ductility, allowing for ease of fabrication and machining. These combined characteristics make nickel common in many industries such as electronics, defense, storage, construction, building, minting, marine, material handling, chemical processing and more. 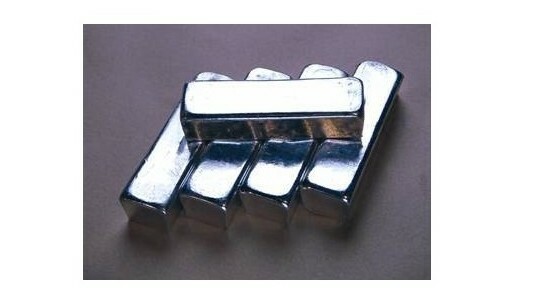 Foundries and manufacturers most commonly purchase nickel in the form of sheets, bars, plates, rods, foil, powder, flakes or other stock form and further process it to produce such varied finished products as Euro coins, paneling, electronic enclosures, fasteners, tubing and even decorative components as polished nickel metal is similar in appearance to chrome. It is important to consider the particular grade or nickel alloy with regard to its intended use as specific characteristics and behaviors may be significantly impacted by any additives or inclusions. Commercially pure nickel is 99.6% pure, though some in alloys as little as 32.5% of the total composition is nickel. The processing of nickel metal components should also be taken into consideration as it could have a significant impact on the physical and mechanical properties of a finished piece. Prior to the production of any specific nickel plate, sheet or other form, the naturally occurring metallic element must first be mined from the earth. Most often pyrometallurgical extraction or hydrometallurgy is used to yield the nickel ore that is then refined until the desired purity is reached. The raw material may be used as such or alloyed with a number of other elements at this stage, often through the use of powder metallurgy. Stock forms such as bars, rods and flakes are produced through casting, molding, flaking or other such processes while sheets, plates and foils more often employ either hot or cold roll forming, drawing or extrusion. Nickel suppliers provide these and other stock pre-forms to be used as the end product or further processed by manufacturers. The malleability of nickel metal allows for easy fabrication and secondary processing both at room temperatures or at its optimal working temperatures between1,800°F and 2,200°F. Ductility allows the components to be bent and formed as needed without cracking or creasing. Additional processes commonly employed in the production of nickel metal parts may include turning, milling, drilling, stamping, punching, slitting and cutting among others.